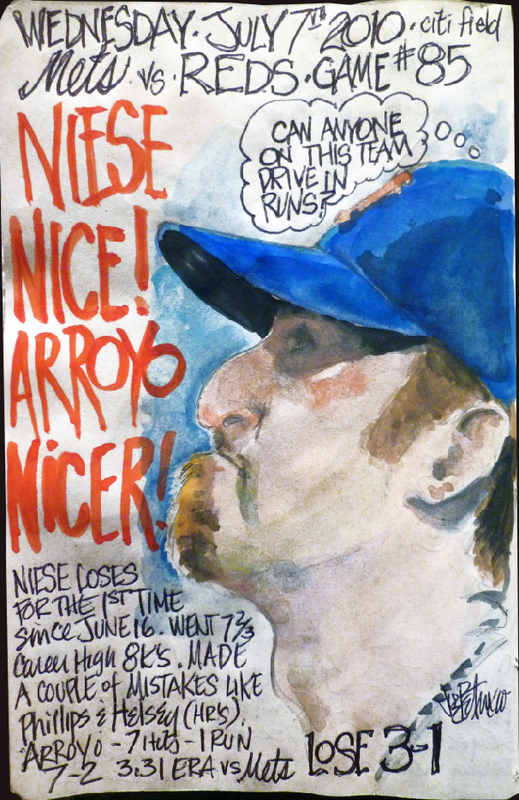 My Mets Journal: Not Niese at all. 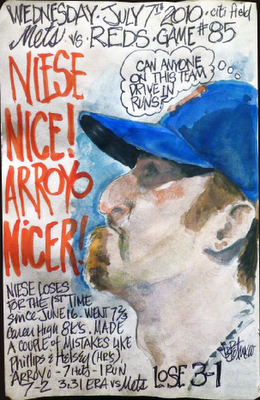 Mets just can't score runs for their pitchers lately. Brandon Phillip's solo home run and run- scoring double was all of the offense Bronson Arroyo needed as the Cincinnati Reds won the rubber match of a three-game set over the New York Mets and Jon Niese, 3-1, at Citi Field. Are the Reds for real? They (and St. Louis) lead the others by ten games in the Central. They quietly have nice starting pitching + good relief pitching... props to them. The worst part? Having to listen to Francesa discuss (or fantasize) about Arroyo for an hour today. I agree. I hate listening to him preach! GFuess I'll be listening to Mad dog on Sirius. Well another hard rubber game we could have one to many of those games this year I am a die hard met fan that thinks we still haven't played our best ball but we need to start winning rubber games it's a most well like always Joe your great work is off the charts let's Go get a SWEEP IN ATL. LET'S GO METS !!!!! !